I talked about the evidence for the idea that the Persians used sabres or scimitars, and the idea that curved, single-edged swords were distinctive Persian weapons. This is a topic where specialists in Bactrian or Iberian archaeology, and specialists in art from the Aegean, say contradictory things! My blog post “Sometimes Bittner Was Right” gives an idea of the kind of things in my talk, although I was able to bring in some more artwork and archaeological finds. On Friday I was suffering from jet lag and did not attend every panel. Christian Djurslev looked at Alexander as a singer, musician, and poet, and why this aspect of his life is not foregrounded by ancient writers. There are no traditions about poems he composed in the way that there are many ‘letters of Alexander’ or stories about Alexander and his companions trading quotes from Euripides. Aleksandra Kleczar focused on those quotes from the tragedians, which are the other side of the coin. Carolyn Willekes talked about how the Macedonian kings used equestrian competition to show their glory and Greekness. It seems that of the successors, the Ptolemies were especially interested in competing in the Olympics and the other big games. Hugh Bowden talked about Alexander’s relations with the local gods and spirits, and the need to propitiate them when crossing boundaries such as the Hellespont or the Danube. Several of the papers pointed out that the religious role of the Macedonian kings was their ‘trump card’ which they could play even when their worldly power was less than they wished; I also noticed an undertone in some talks that so much changed so quickly in the reigns of Philip and Alexander that it might be more useful to think about norms and negotiation than try to establish fixed Macedonian institutions and Macedonian traditions which Philip and Alexander had to wrestle with. Since a book called The Invention of Tradition was published in 1983, it has been hard for academics to believe that customs and institutions go back unchanged to primeval roots unless they can trace them back step by step. I suppose that the theme for this day was Alexander and his cultural and religious world. Edmonton does not have many ancient historians or classicists to share the load, so Frances Pownall had to do a great deal of work rounding up funds, arranging for lecture rooms, and even finding a hotel for all the speakers to stay at free (and arranging an excellent trip to Banff after the conference rather than curling up in a corner with Netflix or some good novels). She was expertly helped by Dr. Beatrice Poletti who did a lot of the work during the actual conference when Dr. Pownall was busy being a host. The people who keep coffee flowing, tables covered with snacks, and signage pointing to the correct room do not show up on conference programs, but they can be more important than the keynote speaker. I travel to conferences at my own expense, so I was very grateful for the financial help! There are plans to publish a conference proceedings, although I don’t expect that my paper will be in it. The plan is to pick 14 or 16 papers with a consistent theme. Because of my schedule of conference-going, thesis-writing, and publication-shepherding (including a paper for one of the attendees), this will be my last regular post until late August. See you on the other side! * With respect to Professor Beard, the Darius Mosaic from Pompeii is not said to be a copy of an original from around 300 BCE “on the old assumption that Roman artists tended to be derivative copyists rather than original creators.” It is said to be a copy because the weapons and horse harness match archaeological finds from the Eastern Mediterranean in the 4th century BCE, not ones from Italy around 100 BCE or generic ‘oriental flavour’ in Greco-Roman art. Other ancient mosaics and paintings showing ‘historical’ or ‘foreign’ scenes have a totally different effect (even the sarcophagus from Sidon, which is contemporary to Alexander, shows Persians in textiles which drape in a way which is typical of Greek art not the Persian court style). Edit 2018-07-14: Connolly “Experiments with the Sarissa” tells me that archaeologists have been impressed by the fit between the objects on the Mosaic and archaeological finds since John Kinloch Anderson’s Ancient Greek Horsemanship (1961) page 62. Edit 2018-08-08: A footnote from Christopher Tuplin informs me that a book by Michael Pfrommer (Untersuchungen zur Chronologie und Komposition des Alexandermosaiks auf antiquarischer Grundlage, Aegyptica Treverensia 8 (Philipp von Zabern, 1998)) examines the Realien on the sarcophagus and argues for a date after 300 BCE. It takes him several hundred pages to make his case though! Standing near to Ed Anson. A lovely bloke. And is that Tim Howe I see grinning from the rear?? Yes, that is Tim Howe in the brown jacket. 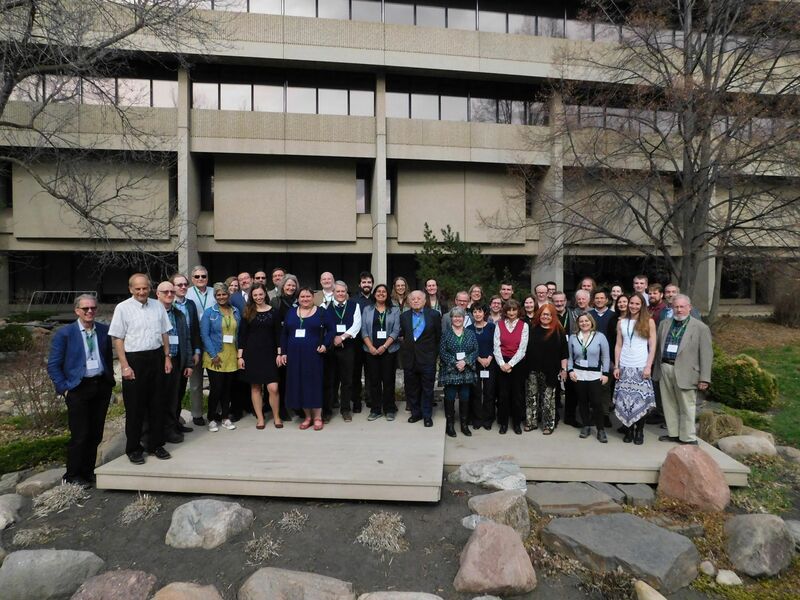 Waldemar Heckel and John Yardley were there too … it seemed like a good mix of new researchers and well-known specialists. Agreed. Several of those at the ASCS Alexander conference here in Sydney back in 2013. Others attended the first Diodoros conference in Glasgow back in 2011. Pity I’ve not the funding nowadays to make those overseas conferences. One day. Dinner and a wine with Waldemar Heckel has appeal. Interesting Alexander Meeus didn’t make it. Perhaps he’d left the US by May. Think he has actually.